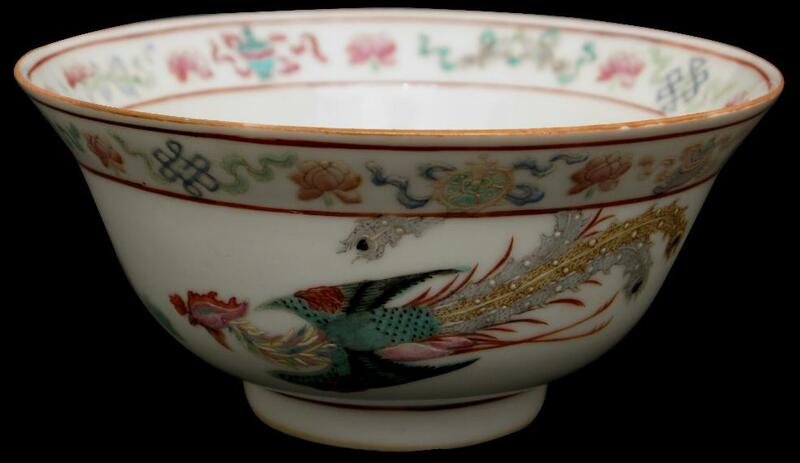 This bowl is decorated against a plain background with phoenix-like birds, Buddhistic/Taoist symbols, and brightly-coloured peonies. 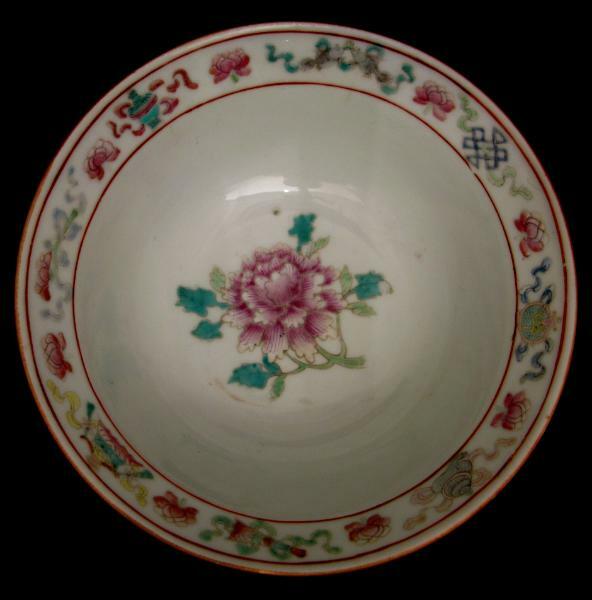 The base of the interior is decorated with a large peony. 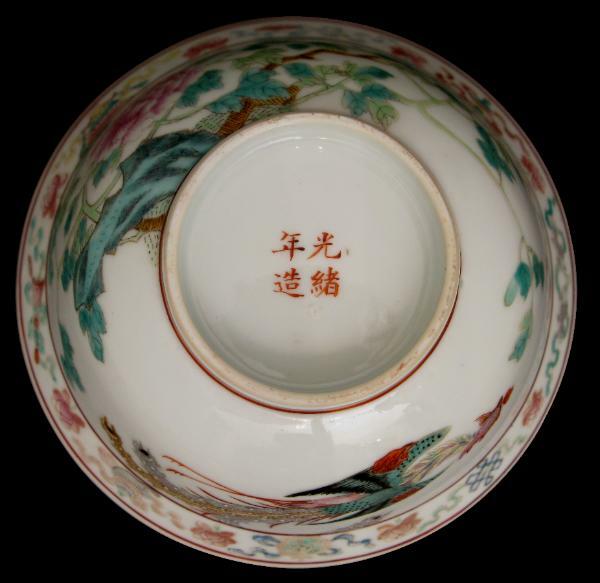 This finely enamelled bowl has a Has a Kuang-hsu or Guangxu (1875-1908) reign mark to the base. baba family for an elaborate wedding. In good condition but with a barely visible hairline to the rim and some minor fritting.